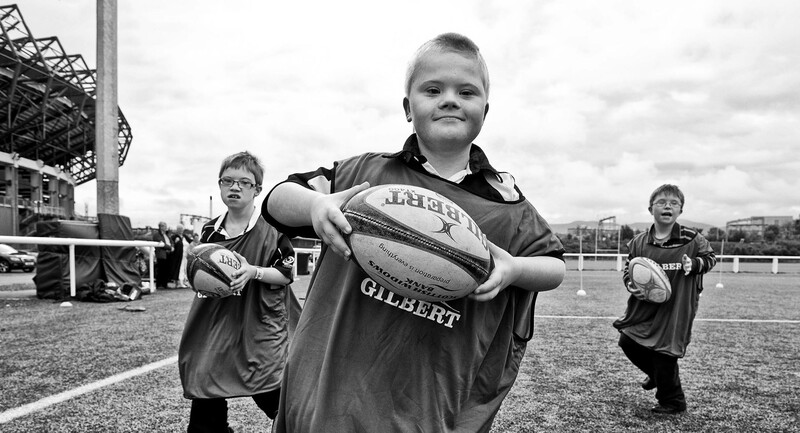 Calum charges down the camera in a rugby training session at the home of Scottish Rugby in Edinburgh. Taken as I ran backwards this could be any day in any park. This photograph appeared in the press and was also selected to be shown at the annual Shape Arts Disability exhibition in London. Given the obvious branding in this image it should perhaps grace the boardroom or reception wall of the companies mentioned. My messages went unanswered.